Archaeologists unveil the tragic story of a historic sea battle more than a century ago as they excavate an ironclad warship. An iconic Chinese warship and the 245 officers－soldiers and crewmen who have been keeping a silent underwater vigil for more than 120 years－have won their rightful place in history, thanks to three years of archaeological work. The ironclad cruiser Zhiyuan (originally spelled "Chih Yuan") is a household name for Chinese people, a witness to a nation's courage, pain and past glory. The wreck was first found in 2013, 50 kilometers from the port of Dandong, a city in Northeast China's Liaoning province, by port operators. Archaeological research began in early 2014. It was first referred to as Dandong No 1. Last week, however, the National Center of Underwater Cultural Heritage held a symposium in Beijing to announce the field investigation has been completed, confirming that the wreck was indeed one of China's most fabled vessels. More than 200 artifacts have been excavated from the shipwreck, including articles of daily use, construction materials and weapons. 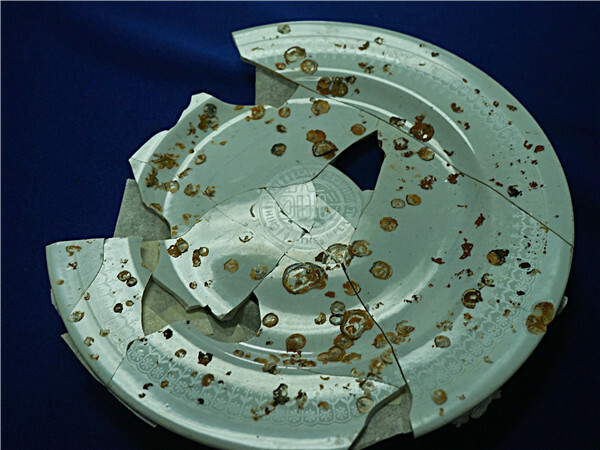 About 30 items were found in 2016, and they were definitive- including a ceramic plate inked with "Chih Yuan" and "Imperial Chinese Navy" in English.